Presidents’ Day is a favorite in New York City, which is no stranger to U.S. history. The February holiday also marks the mid-winter recess for kids, which is a great opportunity to get out and get active. 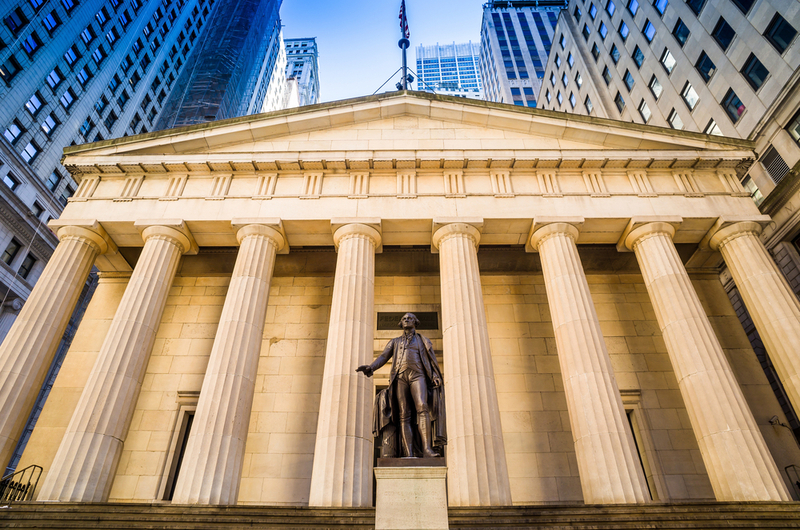 Soak up history by visiting national monuments and museums, see a Broadway show and – lest we forget – enjoy Presidents’ Day sales in Manhattan. Here are some suggestions on how to enjoy the extended weekend. >Shop for the best Presidents’ Day deals. Hotel Beacon’s location on the Upper West Side lends itself to awesome outlets and discount stores, and our spacious closets provide ample space for your purchases! The Shops at Columbus Circle are nearby, and department stores like Nordstrom and Macy’s are known to put on a good sale in honor of Presidents’ Day. See a list of our favorite discount shops on the Upper West Side. >Catch “Hamilton” on Broadway. Alexander Hamilton wasn’t a U.S. president, but he sure was a Founding Father. Learn a bit of history with this Tony-award-winning Broadway favorite, which has greater availability this winter season. >Have a hot cocoa with George Washington. As part of Presidents’ Day, the New-York Historical Society’s children’s museum is hosting “Cocoa with the Founders,” where kids can talk to historical figures portrayed by historians. Take the kids to sip on cocoa and chat with George and Martha Washington. John Adams and Hercules, an enslaved chef in Mt. Vernon, will also be there to talk about chocolate’s journey to the colonies. >Toast the Founding Fathers at Fraunces Tavern. The 300-year-old building that is said to be the oldest in Manhattan was once headquarters to Gen. George Washington and the site of peace negotiations with the British. Today it acts as a restaurant and museum, with historic artifacts, portraits and maps as part of its collection. Plan your visit. >Visit the Morris-Jumel Mansion in Washington Heights. The oldest house in Manhattan acted as headquarters for both sides during the American Revolutionary War. Take in history by touring its period rooms and well-kept grounds. See hours and admission prices. >See Theodore Roosevelt’s birthplace. “Teddy” Roosevelt was the first New Yorker to become president, and today his birthplace in Manhattan’s Gramercy Park district is open to the public. See restored period rooms and other interesting artifacts. Closed Mondays and Tuesdays. Read more. Hotel Beacon on the Upper West Side is ideal for families. Apartment-style rooms with fully-equipped kitchenettes and spacious closets offer you and your little ones space to unwind. Plus, it’s located on the Upper West Side, a laid-back, picturesque neighborhood in Manhattan. Read more about our rooms and accommodations.